Toil: We made this armor just for you! You can buy it and unlock skills with candy! Toil: I am Toil. As the oldest Cauldron Sister it falls on me to keep my younger sisters from causing much havoc. Toil: Great! You broke the pumpking's curse! Myx is ready and we have all the ingredients that we need to make our magical candy! Toil: We are almost ready to begin! Bubble, do you have our recipe? Toil: Trouble, do you have the ingredients? Toil: ... And I've got the spell! Let's begin ladies. Toil: "The Moon is high in the harvest sky, and now the time has come, To make some candy, sweet and rich, except for bubble gum..."
Toil: "...We gather here before our cauldron dear, prepared to cook all night, But what's the point when we can leave and Myx can do it right? ..."
Toil: "...So we begin to toss them in, the pieces and the parts, and hope, we three, the sweet candy won't make our customers...um...sick." Toil: ... Ear of bat, sneevil hat and Yellow Number 5. Toil: Now we add our very special ingredient... MOGNIP! Moglins go crazy for this stuff. But we must be careful, a little of this stuff goes a long way. Toil: Wow, you saved us from that candy-obsessed moglin..monster... thing. I guess that would make him a "moglinster". Toil: Now we just need to think of a safe, moglin-free way to dispose of it. Toil: You're the one who caused this whole mess!? The one who almost ruined our family business AND our family's name?! Toil: *sigh* It always is, from you. What is it Trouble? Toil: No, but at this rate you'll be done working for us in no time, Zorbak! Toil: You have arrived just in the nick of time, Something horrible has happened! Toil: ... But when we were having our candy stockpile delivered to our warehouse in Swordhaven... it was stolen! Toil: ... Would you please try to find out what happened to our new batch of candy? Toil: Hmmm, so the last time you saw this Scary Doll was in the Necropolis? Interesting. Toil: This is serious Myx. This could do more than put us out of business... this could hurt people! Toil: Once again you have impressed us with your skill and courage <Character>. Toil: You're right little-kitty-sister, that might be a problem. Toil: There is no way to know for sure until NEXT Mogloween, but we know who we can turn to if moglinsters start to run amuk again. Toil: This year's candy will be better than ever, we've each been planning for months what special ingredient we want to put in it. Toil: Sugar Springs?! You're going to ruin my candy! Toil: Your candy? It's my candy. Toil: No, you stole my candy! Toil: It's... it's perfect! Bubble! That was inspired for you to add the floss to the mix! Toil: Ooh, that.. that.. JERK! Toil: Together, we made a better candy then any of us could make on our own. Toil: Those no good sisters, always stealing my ideas! Toil: I deserve to have the attention this year, I deserve all the fame! Go get me some wax-comb, <Character>. Toil: Bees, Ants, and various other Bugs collect it, or go right to the source, plants! I need three to get started! Hurry! Toil: Wonderful! This year Toil's Bit O' Wax will be everyone's favorite! And they'll all buy my candy! Toil: Little-kitty-sister is right. Tomix deserves thanks too! Toil: Yes! And now it's up to you to distribute it, <Character>! Get it out there and share it with everyone! Toil: You can do that? Toil: Why...why are you telling us all this? Toil: ... your Red Queen did. Toil: If you get infected, <Character>, come and see us right away! Toil: <Character>! What's going on? Toil: No, I mean: Trouble, get <Character> and set up some barriers. Toil: The infection is spreading too quickly. And the infected are heading to Croft! Toil: You can hold them off, <Character>! We're counting on you! Toil: What happened to Bubble? Toil: She's not talking about Bubble. She's talking about Bubble! Toil: Bubble, Bubble, Toil and Trouble! Toil: Fire burn and Myx will rumble. Toil: Sugar springs and faerie floss, mix together and see it's gloss. Toil: Make the cure for our sister dear, so our little kitty will have no more fear! Toil: Well, we really don't have much of a choice. If this will work, then we need to do it quickly. Toil: Actually, I'm going to stay here. This book was left open for some interesting pages. Bubble may actually have been on to something. Toil: I think with what <Character> brought here we might be able to straighten things out with both Bubbles. Toil: I'm sorry you all, but the spell can only be cast on Mogloween, and it's past us now. You'll have to wait another year. Toil: Our town, for some reason, was summoned near Frostvale. Now, both of them are under attack! We need your help <Character>, quick! Toil: Well, we should be going now. <Character>, thank you again for saving Moglowee... ah, Frostval. 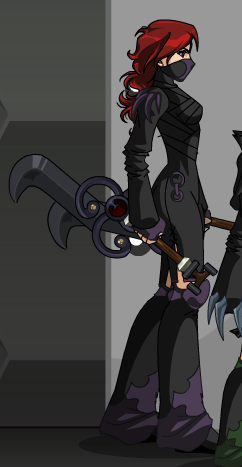 Toil: Alright girls, let's have Frostval! Toil: Hmmm, we've really never worked with winter flavors before... we're going to need lots of help to set up production as well. Toil: Now sisters, let's just get a list together for them. <Character>, some should be fairly easy to gather. You might even find them in shops! Toil: Others are a little more rare... a few should even be new to you! Toil: If you work together with others searching, though you should be able to find everything! Toil: Here's the list <Character>. Bring each ingredient back to us! Toil: And the bacon does smell amazing. Toil: They said they're just happy to volunteer for once, really. Toil: You've saved a lot of the Frostval moglins, <Character>! Toil: We do have to get this candy out of here, though. Now. Toil: <Character>! Myx is our biggest supporter! Toil: <Character>, is that you? Toil: Hold on, I’ll get the door open. Toil: Jack, why didn’t you just say so? We would’ve let you in if we had known. Toil: Yes. It's nice to finally have a relaxing year. Toil: As normal as they have been. We still can't get Bubble back to being human, sadly. Toil: No, which has me wondering if anything even went in at all. Toil: Jack has been working very hard so he might have imagined it. Toil: What do you mean? Toil: Bubble, this happened after eating a piece of our candy? Toil: If you wouldn't mind. Toil: Not anything here. None of them were around when Croft returned to its home for the year. Toil: No. Bubble is right. We have done things, left things, and we've caused problems for so many people. Toil: No, apparently we didn't. Hopefully Bubble will let us help fix them though. Toil: They're safely disposed of, this time. We made sure the destruction spell actually finished. Toil: They ended up growing to be as big as a decent sized Dragon. Toil: While you were frozen we became a bit more...inventive in how we made candy. Toil: Guber is a living gummy bear. He also, most likely, has grown as big as the cheeps by now. If not bigger! Toil: We know what precautions to take concerning them and they aren't a threat to anyone except for one night. Toil: The Moglins don't blame you either. They know you tried. Toil: You have a whole year, and I know you'll come up with something. Toil: You'll come back and visit when Croft returns each year though? Toil: Bubble did everything right, and made sure nothing could go wrong. Toil: Thank you for everything, <Character>. Toil: Bubble may not be back to stay, but we have our sister back in spirit. That's the most important thing we could have ever asked for! Toil: We're not grounded anymore?! Toil: Because it's true! Ugh!!! Toil: "HUH?!" THAT'S ALL YOU HAVE TO SAY TO THAT?! Toil: We won't let you hurt our honey! Toil: Roughly where Falconreach is, in your world. Toil: This is not a gift! Toil: <Character>... the moment they ended up here, they became property of the Baleful Brothers. Toil: Alrighty then! With the crisis averted, I believe it's time for trick or treating! In Resident Sneevil: The Beehive!